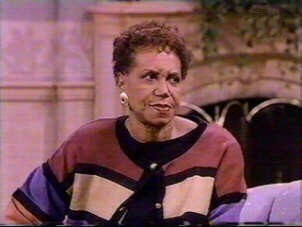 Clarice Taylor, most famous for playing Anna Huxtable on "The Cosby Show" and Harriet on "Sesame Street," has died at the age of 93, reports People. Clarice played Harriet on the popular children's show for 14 years, while also spending some time as the Huxtable matriarch. 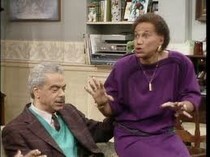 Taylor played alongside Earle Hyman (pictured above) for seven years as Bill Cosby's on-screen quirky parents Anna and Russell Huxtable; Taylor received an Emmy nomination in 1986 for Outstanding Guest Performer in a Comedy Series for her work on "The Cosby Show." Besides her work on "The Cosby Show," Clarice also starred in Clint Eastwood's directorial debut, the psychological thriller "Play Misty For Me," and appeared on stage numerous times, including in the original Broadway cast of "The Wiz" as Addaperle, the Good Witch of the North. Interestingly enough, her future on-screen daughter-in-law Phylicia Rashad was a munchkin in that production. People reports Taylor died of heart failure and was surrounded by her family. She is survived by two sons, William and James, and five grandchildren.